XL55×44 INCH SPECIAL EDITION MAGNUM on PAPER or CANVAS. Printed on the same 19-mil archival paper described above, or on traditional cotton gallery canvas -- the same as would be used for an oil painting. PLEASE NOTE: We supply only the printed canvas; you'll need to have your frame shop mount it on a stretcher. Please allow two to three weeks for printmaking and delivery. 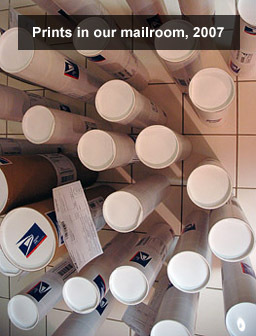 XL Magnum prints are special-order items and may be returned for exchange (for prints of equal or greater value) only.